How many people who visited your site last month booked an NSI? Most gym owners have no idea. But if I asked 500 gym owners, “Who has a great website?” almost all of them would put up their hands. Here’s why most of them are wrong. Your website should not be judged on its art. The purpose of a website is to convert your lead traffic to in-person consultations. Your website’s purpose is NOT to showcase your creativity. It’s not to list your options or tell your prices or share your schedule or brag about your equipment. It’s not even to show your coaches’ bios. Prospects don’t care about any of that stuff, even though you do. People care about themselves. Your website should tell them how you’re going to solve their problem. Think of your website as a boat in the middle of the ocean. You bring fish to the boat using paid ads, word-of-mouth, Affinity marketing, and all of your other attraction media. Then the boat brings the fish to dock. Then you eat. Any messaging, pictures or videos on your website that don’t serve that purpose? They’re extra weight. Sometimes they sink the boat. Your site should give just enough information to lead a client to book a No-Sweat Intro. That includes a few testimonials, and a description of how you’ll solve their problem. That’s it. In fact, our head of marketing, John Franklin, argues that most gym websites shouldn’t even list their programs. Listing “CrossFit, BootCamp, CrossFit Lite, SweatRx…” and other options actually stops a prospective client from clicking through, because the site is asking them to figure out what they need before they decide. That’s backward. A client should ask her coach what to do. Clients aren’t interested in your “playground”. No one’s googling “best gym community in Middleton”. Cut your website back to the bare bones; say less; tell them how you’ll solve their specific problem. THEN forge elite fitness with constantly varied functional programming in a supportive community that feels like a sport. Good websites are more science than art. If you’re not tracking data from your site, how can you know if it’s good? Last night, a friend texted me about her son’s experience at baseball camp. The boy is a very active, athletic seven-year-old. He’s bright and fun, and loves to play “shark tag” with me at Catalyst. He swims, climbs ropes, does pull-ups and wanted to try baseball. “It’s how I run,” he said. The boy told his mom later, “The coach made fun of how I run.” He’s not going back. Even if the coach was joking, kids don’t understand adult sarcasm. So professional coaches don’t use sarcasm with kids. I was lucky enough to get some bad coaching early in life. I can still hear a baseball coach telling me, “We get three outs in an inning. You got out twice this inning. Think about it.” I quit baseball soon afterward, and wouldn’t tell my parents why. I can see a hockey coach standing over me while I tied my skates on the ice saying, “Hurry up, I know you’re faking a loose skate to get out of this drill.” Sure, he was a volunteer. And heck–it might have been true. I don’t remember. But 35 years later, I still remember the comment. No one will remember what you say, but they’ll always remember how you made them feel. And when you make them feel bad, they’ll also remember how you did it. I say I was “lucky” to get bad coaching as a kid, because the volunteers who coached me meant well. They were good people. They probably coached 12-15 kids in their free time after work, when they were tired and hungry. Their minds were probably elsewhere. But I do it for a living. I’ve coached thousands of kids, and I’ve had the opportunity to say things that will stick with them forever. Riley is on my little Misfits hockey team. She’s probably the toughest kid on the team, even though she’s the smallest. Riley wears a full John Deere hockey suit to practice. Sometimes, in a game, she fires her fist in the air just because she got a shot on net. She doesn’t get many shots on net, because she’s usually in the corner fighting with some boy twice her size. “No,” says Riley. “Wood.” Cause she’s an old-school 8-year-old. She picks out a cheap stick. Saleskid: “Sure. What’s your position?” Meaning: forward or defense? I don’t remember saying to Riley, “You’re my digger”, but she does. When you’re coaching a kid, imagine this: a big “record” button on their head, and it’s always flashing. They’re ALWAYS recording. And they’re never erasing: your comments are indelible. They’ll hear your voice for the next 50 years. What will it say? Today we are joined by Oskar Johed of CrossFit Medis. While growing up in Sweden, Oskar was very involved in sports and soon after graduating from college, entered the corporate world. It wasn’t until tearing his ACL that he came in contact with CrossFit and was instantly hooked! While recovering from his injury, the CrossFit Journal was all he had access to for killing time and keeping him going. It was soon after that he decided to quit his job as a banker and open his own CrossFit Gym. Today Oksar splits his time between his gym and traveling the work as a member of the CrossFit HQ Seminar Staff. Today we dive into a range of topics including how Oskar spent around $15,000 last year which generated over $200,000 dollars in front end sales! 20:21 – Spending $15,000 on ads in one year! Chris: 00:26 One of my favorite finds has been ForeverFierce.com. I linked up with Matt several months ago at Forever Fierce and he had some fantastic ideas and so he and I have put together a couple of packages that we think are really gonna help crossfit affiliates everywhere. Two-Brain mentoring clients use Matt almost exclusively. He’s got fantastic designs and he takes all the work out of it. All that time that you spend searching the internet and Pinterest and junk like that for great crossfit tee shirts. You don’t have to do that anymore. Matt has fixed that for you. You can put your logo on one of his templates which are fantastic and your clients will never know the difference. It saves you so much time that you could be using on other things like real marketing. He’ll also go so far as to remind you when it’s time to reorder. He’ll give you suggested order sizes, he’ll help you set up preorders so you’re not even fronting the cash from the inventory. It’s all amazing stuff built to help affiliates and that’s why I love this guy and this company ForeverFierce.com they do all of catalyst’s, shirts, all the Two-Brain shirts, all the ignite gym shirts. They do everything for every business that I own. 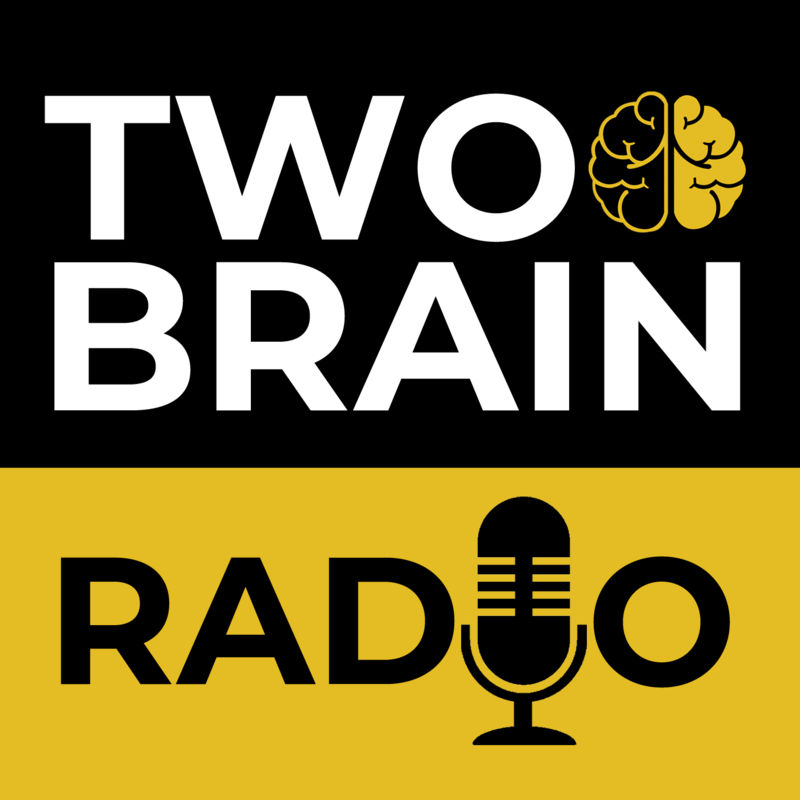 Mateo: 01:32 Hello and welcome to the Two-Brain marketing podcast. I’m your host Mateo Lopez and I am one of the digital marketing mentors at Two-Brain business. Thanks for joining us. This is going to be your weekly dose of digital marketing magic and every week we’ll go over marketing campaign strategies, useful tips and updates just to keep you in the loop on the ever changing landscape of advertising on the Internet for Your Business. And today’s episode we have a very special guest. We have Oskar Johed from CrossFit Medis and yeah, I’m really excited because we’re going to learn all about him, his gym. And what’s most exciting I think is that last year he spent around $15,000 us in advertising spend and he was able to generate from those paid ads, $200,000 in front end sales. So that’s a, that’s a big return. It’s not totally typical, but I do want to learn because it is pretty special. Mateo: 02:25 I do want to learn the magic behind Oscar’s operations. So how are you? Oskar: 02:30 I’m really good. How are you buddy? Mateo: 02:32 Good, good. So for those tuning in, I mean, you know, you’re, you’re a Two-Brain mentor so people may not know a little bit about you and in your story, I know you’ve had some guest blog posts and things like that, but for those who don’t, you know, who are you, where are you from? And tell us a little bit about your business. Oskar: 02:52 This is going to be the Twitter version of yeah, the Twitter version two–whatever. Me and my business partner Karl, who is also a mentor here in Two-Brain. We opened the gym about five years ago. We both had corporate jobs in the past. He was in sales, I was a banker. I used to help multinational corporations handle their liquidity and I also worked in for an exchange. And so about five years ago for different reasons, we quit that and decided to open a gym in Stockholm. So that’s where we are. Uh, we have been mentors for Two-Brain for north of a year. I just think we’ve been in Two-Brain as clients for more than two years I think. Mateo: 03:35 And you’re on the, you’re on the seminar staff, right? Oskar: 03:38 Correct, yes. So, uh, I did, the gym runs itself pretty much. So I balanced my time trying to keep up with my seven year old daughter. I have the opportunity to travel around the world on the weekends to give people the level one, the current, you know, the, the, the material on the level one and teach people to squat. And I also can teach and hopefully inspire gym owners around the world to become better at running their business. So I like helping people both in coaching and also in, running the gym efficiently. Mateo: 04:13 That’s awesome. And so how long did you say, how long have you been open? Mateo: 04:19 And what was your, you know, how has your business changed and what was the business like prior to Two-Brain and mentorship and how has it changed since implementing what you’ve learned? Through the incubator? Oskar: 04:31 We started the gym as a business, so we both had that going into it. We had, you know, we had pretty decent paying jobs. We had families when we started, so we had to make money from the start. So what do you mean started it as a business? You mean some people started as a hobby? Is that what you’re saying? Mateo: 04:50 Ah, I’ve heard so I’ve heard people do that, right? Oskar: 04:53 Oh, okay. We had a five year plan and we had, you know, we had uh, you know, we had a budget, we had, you know, cashflow per good projections. We had a rudimentary, you know, business plan. However, we were kind of contrarion cause we’ve left that part of the world. We, wanted to get rid of structure and, and you know, corporate, you know, or you know, more meetings, right? And now it kind of comes back. Turns out, when we have a gym, we need that stuff. So, uh, it all comes back and, and uh, you know, we need this stuff in place. But that’s where we started it. And we had an understanding of what we were born to do, crossfit for regular people, so to say, we had no intention at all to run it for for athletes. We’ve had from the start a shirt on policy. In the gym where we started, it’s only shirts on policy. Mateo: 05:42 Right, right. Wow. Oskar: 05:43 Hey, here’s the thing. When we started there were like 15 gyms in Stockholm, so we said, if you don’t really care then we are one of 15. But if you really care about not wanting to join a gym where people take their shirts off, we’re the only one. So to play to the answer, you know, we used that to increase our odds. Mateo: 06:00 So that was your first strategic advantage maybe, right? Oskar: 06:05 Yes. Yeah. And the places we rented had like nine foot ceilings. So we couldn’t do rx wall balls for instance, and we didn’t really know that when we moved in. But two stories above us is the Red Cross sent, therefore tortured refugees. So we can’t really drop any barbells. Mateo: 06:23 Right. A lot of clanging and banging is probably not good for, for recovery from post traumatic stress. Okay. Well tell, tell people about the layout of your gym because it is unique. You do have a different kind of like, yeah. Oskar: 06:35 So, so we’re, we’re at the bottom of a, an office building with nine stories above us. And if we drop barbell they hear it all the way up to the ninth storey, we’ve actually tested it. It’s true. So we were there for three years. We had pretty cheap rent even though we’re center of Stockholm. But then three years in, the, the landlord said, we’re going to raise your rent by 94% so we said, okay, that’s, that’s, that’s a lot more than we can really pay. And we were at Max capacity, around like a hundred and 75 members. We ran classes, you know, five, six, eleven, noon, four thirty, five thirty, six thirty, seven thirty. Pretty much we worked at maximum capacity, it’s about, well we have about 1400 squares metres of work out area so you can fit 12 people in safely. That’s about it. But inside the office building, there’s a smaller, you know, basketball court. So we eventually, after a year of negotiating with the landlord, we got got this place as well. So we have two rooms in the same building, they’re joint with a small corridor a hundred feet apart or something. So we run classes concurrently. That place that’s kind of the same size. It’s obviously a higher ceilings, but it’s, it’s, you know, 1400 hundred square feet for workout area there as well. Mateo: 07:47 You also have the recovery room, right? Oskar: 07:50 Right. Yes. So we have, you know, it’s small. We have obviously saunas as well. Because that kind of came, would you know when we bought, they were, when we rented the, the basket ball area gym, which is nice to have. We have to pay rent for it. So, so of the of the area we pay rent for it. We can only use about 46% of it to actually work out at, cause then we have storage and stuff like that. So it’s not an optimal place to run a gym at especially. And we can’t drop weights. And I rent this about four. It’s, we pay north of 11,000 a month and that gets us two rooms of about 1400 square feet of workout area. Mateo: 08:30 Wow. So for those who didn’t catch that, he says 11,000 a month. Yes. US. And he can’t drop weights and they’re still rocking and rolling. It is possible everyone. It is possible. That’s, that’s awesome. So okay, so then you came in with a business background. You came in knowing that, hey, this is a thing that has to exist at some point without us and it needs to make money for us and our families. So, but then what, what prompted you to, to sign up for, for mentorship in the first place? Oskar: 09:04 Yeah, so our, our original business plan, was we, we got fed up of working big corporations in where they do annual health checkups but they’re useless. So, uh, we were frustrated and we said that we’re going to target corporate market and we’ll get them on corporate health programs at the gym and then we’re just going to run the crossfit individual crossfit classes. Sort of say we switched that around but, but I will say intent from the beginning. I’m going to talk about, yeah, that as well because yeah, it’s still fairly crossfit members. They, we charged like $45 from the beginning because that was just going to be an add on revenue for us. But over time we’ve changed that. We’d raised the prices early from like 45 to 75 to 95 to 125 to 155 to 165 over five years. So it would have known from the beginning was that we were going to run a nontraditional CrossFit gym. Oskar: 09:57 We wouldn’t have started with $45 a month obviously right here. Right. So that was like where we, where we started and we knew that we were, you know, we want to run to corporate thing cause we saw there was money in it and we all thought that it was the way corporate wellness programs run were not particularly efficient. So, but at some point we kind of switched from going to corporate sites to more traditional individuals. And at some point we saw that this is not going to be a lifelong commitment because we have families, we, you know, we can’t run this, the two of us with some extra help from part time coaches that need to stay. We’ve made a commitment to our clients and to their families and our families as well. And you know, this is not gonna fly. If we don’t get external help. Oskar: 10:58 I think like we weren’t working a lot with probably working on, you know, less than 40 hours a week. But we were coaching the majority of the classes. That’s the two of us. And we enjoyed that. But, and, but we were at capacity, we couldn’t really bring in more members and at some point, you know, we got kids who want to take the summers off and, and stuff like that. And we saw that, no, not when people hear that’s loss of 20 pounds or 30 pounds, you know, with people that I’ve met in the gym with was we have made a commitment to them. Even though we just have monthly memberships, we count everyone as a lifetime member, we want to improve their life throughout life. So, and we said that in the past we were running right now this is not going to be sustainable. Not for us, not for the culture, it’s not for our members and not for our, our family. So then we need an external. Mateo: 11:41 Okay, great. So I see your prices were really low. So that was a problem like your ARM was, it sounds like your, your ARM was pretty low and that was kind of an issue. Oskar: 11:51 When it comes to that, the private, we were doing pretty good cause we had some corporates that would show with pain, you know, big tickets. But when we made a pivot we had to restart it. It’s going to be easier to attract regular individuals. CrossFit here is like four or five years behind you guys. So this is like in 2014 2015 and it was just kind of like the equivalent of, you know, your 2011-2012 ish. Mateo: 12:12 Got It. Okay. And then so you signed up for mentorship and what changes did you see in your business afterwards? Oskar: 12:19 Tremendous. And we had been working for quite some time. We’ve been following Chris and, and theTwo-Brain for quite some times. So I’ve been doing some, we’ve been moved on that at some of the uh, strategies. But we were, you know, we were kind of tired of treating ourselves as corporate because we’ve came from that. So we didn’t really want to have flow charts or processes written down. We wanted to be shoot from the hip because you know, we’re tired of feeling like we wear a suit. But that’s where we kind of, you know, had to come back and our mentor first said that you have to be like Mcdonald’s or like, I don’t want to be associated with but you know, the consistency of Mcdonald’s. I can’t say that I go into it too often, but I don’t really know if I’ve ever been disappointed or pleasantly surprised. But you know what you’re going to get when you go to Mcdonald’s? So that’s really where we started. All of solidifying in, in codifying our culture. So it was pretty clear that this, the way we run our business, our systems live in, you know, our culture lives in our systems. Mateo: 13:16 I like that. Yeah, I really like that. I think, I think what you’re touching on is kind of the first lesson in the incubator. It’s the vision and values section and how that needs to be, as you said, codified and written down somewhere so that it lives in your standard operating procedures. It lives in the way in which your, your coaches do things in your gym, do the service, and then it also helps, like it helps in the long run too because if that’s not clear and written down and codified, like you said, you know it’s going to be hard to teach that to your, to your staff and to make that experience consistent. If you have a certain value or a way our brand promise for your, for your gym, you’re talking about Mcdonald’s, you need that to be written down and codified, like you said. Mateo: 14:00 So it’s consistently being expressed through every aspect of customer engagement in your, in your service. Cool. All right. So, so that, that was a big, it sounds like having someone really you back in and say, Hey, I get that you were shooting from the hip before, but you know, you know, you know, some of this stuff. So just, you know, go back. Um, so that sounds like that was a big turning point for you guys. What else? Tell me a little bit about, you mentioned this a little bit before, which is you have a commitment to your clients and your staff once you open your doors. What do you mean by that? Oskar: 14:36 I think that we have these people come together and there’s, there’s a, there’s a obviously, do you have a contractual agreement that we should deliver some kind of service, you know, thrusters and burpees and they fork over some money. But I think it’s bigger than that. And, and that’s something I’ve realized, you know, last year Chris said it’s, it’s like a silent agreement of people coming together. And our part in that is making sure that we can stay on top to deliver them thrusters and burpees, but with, but throughout life it’s going to be ups and downs, but it’s, the commitment we’ve done to these people is to improve their lives throughout. So, so they can improve their families if they’re, you know, if they have kids, do you want them to be better parents if they, you know, were helped there, inspire their parents to be, you know, get off the couch. Oskar: 15:18 So I think it’s, you know, we started us as fun saying, you know, as a business it’s cool to work out. But I think it’s, it’s, it’s far bigger than that now that this commitment that we have is something we take really seriously. And, and that’s probably, as you mentioned, the number one reason why we just can’t shoot from the hip and more consistency is very important to us. And we’ve, we are probably gonna get into move into marketing, paid marketing, paid advertising. But we’ve been very fortunate in the way paid advertising has worked for us. But it to the point where we, you know, we burnt out to be totally honest. Working too much so we were too successful. So now Karl, my business partner, is phenomenal at talking to each coach. We don’t talk about, you know, coaching their squat or you know, a metabolic pathways or something. Oskar: 16:04 We just start by talking about value. So they sit down in here for an hour, just talks about values, values, values. And so we’re kind of at the point now where if so regardless of what problem is the, the, you know, the answer is all of us, your values. Greg Glassman said, you know, the, regardless of the problem, it’s the answer. Always a squat. But for the business it’s always values. So Karl takes them through that and that’s kind of something we’re trying to iterate all the time because it’s so easy to get caught up in thrusters and burpees or, or whatever. But that’s only manifested in the way we actually deliver. A service and that’s you. Our values. Mateo: 16:33 Yeah. If you have a problem, if you have a question, you turn to your core values and it should be right there. The answer should be right there for you. Awesome. So yeah, tell me a little bit about that. How often do you check in with your coach? It sounds like, it sounds like from what you’re telling me, you know, you, you, we asked you when we sit down with our members on a regular basis have what we call goal setting sessions to check in with them. Sounds like you do that with your coaches. Tell me that. What about that, that process? Oskar: 16:57 Yeah, so, so currently we have three full time coaches and then it’s Karl and myself are also like full time you know, you don’t do anything else, you know, obviously do some mentoring and some stuff like that. But we are on the payroll and then we’ve got a GM, a nutrition coach and then we’ve got five or six part time coaches and Karl sits down to talk with the coaches like weekly on life. How do you know, how do you, how do you feel it’s going? And then I’m trying, I’ve tried to focus more on, on the coaching, so we’re trying to check in at least at least weekly on the full time coaches and then eventually going to do the same thing with our part time coaches as well. And then we continuously produce material for our coaches to train, you know, in terms of like how do we effectively coach athletes or, you know, uh, so we tried to check in with them regularly because since we have now stepped away from being the baker or the, you know, that uh, we’re not really, we don’t really have the icon problem anymore. Oskar: 17:51 We have to make sure that our coaches deliver the same kind of message and service that we did in the beginning. So it’s really important that we check in with them that to see that they are actually doing what we want them to do. I’ll check and make sure, hey, like is this, make sure that whatever their life professional goals are, that you’re still in your, what you’re offering them is still in line with that and making sure that they’re worth the amount of hours they want to work and making what the want to make. Then you’re there for the quality control. Mateo: 18:21 So tell, tell me a little bit about how do you check in on your, how do you do quality control on your coaches when they’re doing classes? How do you do that? Oskar: 18:31 So the simplest way is that what we found that works the best is if we, if we, uh, we have them record, it was set up a video camera, they record the class and then they watch it. I watch it, they write down, you know, what they think was good, what can be improved. I did the same thing. We base it on, you know, the sixth criteria is that we teach on the, the level two: the teaching, seeing, correcting, presence, attitude, group management and demonstration. And then we grade them one to 10. Doesn’t really matter where the numbers are. But then we just find something to focus on for next time and then we just keep reiterating the, the process. So I watch them coach on video cause I can’t really watch them all the time. Mateo: 19:13 Well I was going to say how many hours you spending watching videos? Oskar: 19:16 Uh, we, well I don’t know. You don’t have to watch the entire session cause if you’ve watched an entire session yeah you, you can just, you know, you know once the warmup is over, you know, when you know this technique, whatever. If you just focus on one thing, it doesn’t really matter where just find a starting spot. It’s just like where do we start? Well anywhere. So I just want to focus on one thing, see that, the improvement in that thing and then we move on to the next. Mateo: 19:37 I think what you just said is so, so valuable. I remember when I was starting work on the incubator and you’re just like I got to track all this stuff. I create all these systems and I create all these processes. And it’s like, no, just pick one thing, one metric, one thing you want to measure. And then once you’ve regularly start measuring that, then you pick the next thing and the next thing. So it’s like, yeah, let’s focus on coaches warmups. Let’s just look at that for the next two weeks and just do that. And then we’ll move on to their strength and uh, them teaching barbell stuff and then we’ll move on to the metabolic part, metabolic conditioning part. So that’s amazing. All right, cool. So you watch videos, you have them watch it, you grade it, and then you discuss and work on and then give them their, their points of points of improvement. Mateo: 20:18 That’s amazing. So, all right. And I, I think that you mentioned paid advertising. I want to bring that up because you’ve been talking about consistency of service, right? You have to deliver excellence and you have to do it every time. And I think that’s probably a big part of what’s led to your success in some of the paid advertising. Because you last year alone, you spent, you know, a little, little over 15 grand, $15,000 in ads, and you were able to generate over 200,000 in front end, just front end sales from, from these ads. So tell us a little bit about your paid advertising system and why you think you’ve been able to, to have such awesome results. Oskar: 20:59 Yeah, this has come at a cost. You know, we need to mention that as well. We’ve, we’ve very dark. At one, 200,000 in front of, you know, they should be telling you we are doing really well right now, but there were some collateral damage. There were some, we lost some good soldiers on the way. So, yeah, but if we just start where we are currently, we, yeah. So I think it told Chris that the first time I spoke to him, like you know what we try to do when we, when we get told, I get told, you know, this is way to do it. I’ll see if I can break it. Oskar: 21:39 I try to reverse engineer it and break it to improve it and cause I think I have that obligation. I think if we’d have the same thing with, with marketing as well, because we started with the traditional, you know, the, the Two-Brain marketing thing, but as quickly as I could, I tried to destroy it because I think that we’ve made a, an agreement with all the other, you know, to bring clients to try and prove it. If everybody did just keeps the same thing, it’s going to be a regression to the mean. We were not going to have exponential returns. So there’s gotta be someone, the Ad from time to time brings in something that makes that jump from like zero to one. So that’s what we’re looking for. So we’ve been toying around quite a bit with paid marketing. Oskar: 22:24 But what would come down back to is that we put together a video for a, I don’t even know if we say it’s six weeks, but we essentially take, it’s a six week program and service or your fitness program that you’re offering. You have this video, right and we’ve done really well produced materials from a good fit, you know videographer and that was doing well. But we have one that I shot and they go process like Fisheye and it looks pretty weird. And what we did in the first, we didn’t specifically say there’s going to six week and name the price, we’ll try to edit that out a few times. So it’s, it squeaks a and it’s Funky as hell, but it’s working really well. And we bring in, everybody comes in on the same front end offer. We have a picture of, you know, Facebook, it comes to the landing page. Oskar: 23:09 So you see this video that’s been chopped up a few times now, but it’s still delivering. And we even, we have the price on the website, on the landing page because we want to filter people out because you know, we don’t want anyone to come in and take time. But even though we, we market a, you know, six weeks thing at $450, only 60% actually end up buying that. We sell a lot of nutrition and personal training based on a video we produced the nice looking video for, for personal training. But this funky one, the six week thing with our prices on converts better than the other one. So, uh, I don’t think it’s anything else but pure and sheer luck that it works really well for us. Mateo: 23:48 So tell me a little bit about, so someone, someone sees this ad, they, they, they watch your video, your funky video, they inquire what happens. Oskar: 23:57 Yeah. So as I said, we, we post the prices, we didn’t do that. We will do it ike six months from now because we want to filter out people because we are our, our cost per lead, they’re really low currently they’re like $8 with a price. So we want to filter out people. So they then we put out, you know where the final one, you know, tell them what we’re looking for. We specifically say we don’t want people that just want to do the six week or the time based thing. This is a longterm commitment and then they schedule a, No-Sweat Intro and schedule and then, and then what happened? Yeah, so we obviously have lead nurture in place. However, because we’ve been down to like $4 at the beginning of the year to acquire lead and they know the price, it’s actually cost us more to nurture the leads that just wait for someone else to book and call us. Oskar: 24:53 So too many people in that for you, you’re burning money. That’s currently are, we are like teach 75 members. I, we can’t have any more group members come in. So the key would keep running the same funky video because it works so well. But we’re trying to convert people in nutrition, personal training instead cause we can’t really fit any more group people. And so you use it as like a Trojan horse. They inquire about this thing and then you’re like hey by the way I’m not going to sell you this thing. No. Like we don’t like we try to pride ourselves on not selling. We just want them to make people buy. Yeah I understand we’d say. But everything we do is from health perspective and, and we do turn away, like I’d say eight of 10 are sign up with some kind of service cause we still filter them pretty hard. Oskar: 25:42 We just save that. I want to call them up for the intro that, you know, if you’re just looking for it, you know like you know, fat burn bootcamp. There are other places that will work better than us cause we were just, you know, this is not the place for you. But we try to, we also send people to other gyms. If they live too far away from our gym, we send them other way. You know, just we want people to come to us for the right reasons. Mateo: 26:03 And tell me a little bit about that. What happens when they sit down in front of you? How does that, how does that process work? Oskar: 26:09 Yes. Well currently it’s myself and Karl that does that because we enjoy that and our coaches are pretty full with doing goal reviews and personal training and run classes etc. We’re probably going to get our GM doing sales too soon. Oskar: 26:19 So we give them a tour of a gym. We have posters, have members and we have some other things for. So we’ll show that. It’s very important for us to show that we are evidence based. So we have the 11 message system. But regardless of what you have, we talk about your measurable results. We have pictures of members, we have some, they are fit. We have one member, John is, he’s, he’s had Parkinson’s for 23 years. He rides into the gym in, his electric wheelchair and, and uh, so we then his, his doctor said two years ago that he had six months to live and he’s still rocking and rolling and doing dinner, laundry you know, attributes a lot of that to crossfit. So we kind of like him to point out that yes, there is someone here that is less fit than you are. You can probably do it. Oskar: 27:02 Then after that we sit down and we try and figure out how we can help them best. You know, we ask questions on where they’ve been. Housewives, what are they looking for and we try to find an emotional reason for them to succeed. Uh, I think it’s important because everybody says they want to lose 20 pounds. I had a woman come in recently that said, eventually we got down to, she wanted to, you know, fit in her bathing suit. And I said, why? Because she’s currently driving across town to take her kids to the pool because she doesn’t want to go to the pool right next to her because you know, she’s embarrassed to take, take her kids there. And, and obviously that makes me want to help her a lot more than someone who just want to lose 20 pounds. And I hopefully that’s going to help her put in the time and effort to lose the 20 pounds. Mateo: 27:44 I love that. And you got to, you always have to ask why and then ask why again and ask why again till you get to the real reason. That’s awesome. That’s great. So you’ve got a full time staff, you’ve got a GM coming on board, you’re going to be able to put more and more on his plate, allow him to grow and have more or allow them to grow and have more opportunity. And you are, you’re, you have a profitable business, you’re a level one staff. What do you think’s been the key to your success? Oskar: 28:12 I do think there’s a lot of luck to it. Uh, I shared that, as I said, the videos kind of funky and we currently don’t really have that many. There aren’t that many people who compete with us on what we do. And I think we are kind of unique in, in, in, uh, in our branding or what we do. We don’t really, you know, we don’t have any, you know, bloody hands on our Instagram handle or something. So I think that plays a part to it. But I also think that we are just lucky in a sense. We tried it, we tried to look at numbers, but at the same time, at some point just, you know, I like to be datadriven we talked about it a lot, you know, in terms of, I know what are our cost per leads? They currently at $8 and I know how much money we made last year and, and all that. Oskar: 28:58 And I can see what age credit eight ad creative is performing better. What picture is it? But at some point you’re like modeling randomness. There’s so many variables I don’t control. So at some point we just have to have, we have to kind of define success for ourselves. Like could something work better? Probably. But are we happy at $8? Yes. Like what happens if they are at 12? I mean, we’re still happy. Yes, if they go up 18 is maybe that’s when we start doing something. So we try not to spend, you know, to, to, uh, to try to assess too much. And in our success, in terms of marketing, I do think we are good at, at, at really showing people that we care. I think that that’s, that’s, that’s very important. And we are willing to fail. We don’t, you know, we do spend a lot of money on marketing because we’d like to play around. Oskar: 29:48 We are going to start doing more personal training as now you don’t actually test them with our, you know, to bring in people from other gyms to see if we can test them on our leveling system, to just bring them in to do personal training at us to get the levels and then pass them on to go back to their own gym. So I think, but I think we, we, we have a deep respect for each other. Karl and I and, and we both, you know, want to succeed. And I think, you know, Josh, our mentor helps us a lot. So that’s a kind of a vague answer but I don’t really want to say I don’t want to take credit for, for the success we’ve had in in marketing. We just been fortunate to spend time with you. We’ve been lucky but we keep running with it. We do spend a lot of money in marketing as well cause we’re not, we’re not willing to to to, you know, it doesn’t really matter if the, if we fail, we just keep trying. Mateo: 30:33 I’m going to ask you one more time. You don’t have to be specific with marketing, just what’s been the key to your success in general with your gym in general? Oskar: 30:42 No, I think accountability. It’s very, it’s something that it comes down to. I think we attribute a lot of success at our members to accountability and that’s the same thing in terms of for business as well. We have a board that helps us a lot. We do have tremendous help from, from our mentor, you know, from you as well and Josh, both Karl and I are mentors. Like everything we say kind of go through the mentoring filter. So it’s kind of like, imagine being married to like, you know, a shrink or something. It’s kind of, it could be quite challenging from time to time, but the accountability and having a sounding board, it’s something that that has been tremendously important and, and our success and you know, marketing, phew, phew, phew. You and John in the beginning, Josh and Chris and everyone else, like, you know, we, we, we try to help to bring in families. So we, we do what we can and if we say that we are developing something in terms of marketing, we want to do it so we can give it back. If you’re doing something to have some coaches development, we say that out loud. We’ve made a commitment. Mateo: 31:48 Awesome. So, well first of all, thank you for coming on today and thanks for chatting with us. If people want to find you, if you don’t want to talk to you, people want to hang out, where can they find you? Yeah, this is where it would probably be: oskar@twobrainbusiness.com if you’re for some reason would be strolling around in the streets of Stockholm then you would be around our gym. You’re more than welcome to come in. We have amazing coffee. Beautiful. Awesome. Well thank you sir and uh, uh, probably see you in June, right? That’s right man. Speaker 5: 32:23 Hey everyone. Chris Cooper here. I’m really thrilled to see you this year in June in Chicago at the 2019 Two-Brain Summit. Every year we have two separate speaking tracks is one for you, the business owner and there’s one for coaches that will help them make better, longer, meaningful careers under the umbrella of your business. This year we’ve got some pretty amazing topics like the client success manager, how to change your life organizational culture or the business owner’s life cycle, how to have breaks, how to have vacations, how to help your marriage survive, owning a business motivation and leadership. How to convert more clients, how to create a GM position that runs your gym for you and leaves you free to grow your business. How to start a business owner’s group in your community and more point here is to do the right thing that will help gym owners create better businesses that will last them for the long term, get them to tinker phase, help them be more successful, create meaningful careers with their coaches and give their clients a meaningful path to longterm health. We only do one big seminar every year and that’s the two brain summit and the reason that we do that is because a big part of the benefit is getting the Two-Brain community together and and welcoming strangers into our midst and showing them how amazing gym ownership really can be. We’ll have a link to the two brain summit including a full list of all speakers and topics on both the owners and the coaches side in the show notes. I really hope to see you there. Speaker 6: 33:52 As always, thank you so much for listening to this podcast. We greatly appreciate you and everyone that has subscribed to us. If you haven’t done that, please make sure you do drop a light to that episode. Share with a friend, and if you haven’t already, please write us a review and rate us on how what you think. If you hated it, let us know if you loved it even better. Speaker 7: 34:17 You guys later. I get it: you can grind. You made the decision to open your business. You took the risk. And now you’re going to do whatever it takes to succeed. You’re willing to sacrifice your sleep, your family time and your health. You’re not going to ask for help, because this is YOUR problem. Who else is paying your fare? What are your kids giving up when you work late? What does your spouse think about when you’re not there in the morning? You’re not just hurting yourself here, friend. It’s still hard for me to write, but I put my family through stress, loneliness and even poverty that could have been avoided. If I’d asked for help sooner, I could have cut months–years!–off my entrepreneurial struggle. How many exactly? It doesn’t matter: every single day is a day too many. What are you willing to trade while you figure it out yourself? The price of caring, professional mentorship is $5,000. What’s that over a lifetime of Tuesday night dates with your wife? What’s the cost of a missed bike ride, or the price of a nap with your baby? How many of those do you have to trade before you say, “It’s too much”? I waited too long. Don’t.